Our North Finchley tuition centre is based in the grounds of St Michael’s Catholic Grammar School, close to Woodside Park tube station and the North Circular. Free parking is available on site. 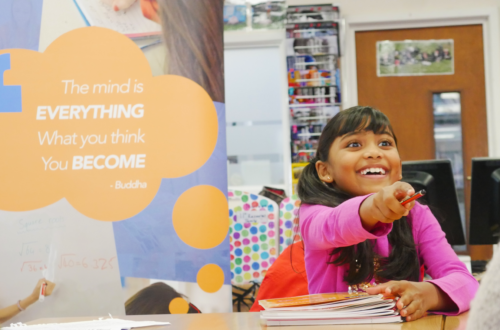 At Vaks North Finchley, children are placed at the centre of their own learning. They are continuously praised and motivated through our interactive teaching methods, which are engaging, enjoyable and above all, fun. We tutor children aged between 4 and 18 years old, with tailored programmes covering maths, English and science. We also offer expert tuition designed to prepare your child for KS1 & KS2, 11 Plus and 13 Plus exams, SATs and GCSEs all designed to meet the individual needs of your child. 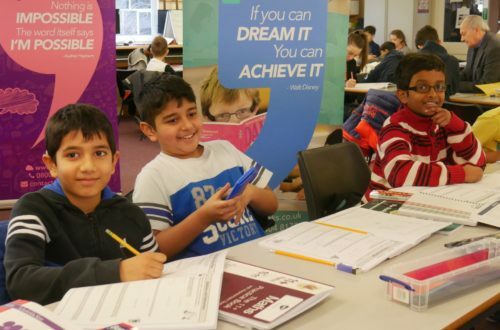 At our tuition centre, we provide specialist tuition for children aged between 4 and 18 years old in the core subjects of English, maths and science. Whatever stage your child is at, our tuition can provide your child with the skills to really make a difference. Our tailored approach means we can support children of all abilities. Whether gifted and talented, in need of consolidation, a short term confidence boost or support with special education needs, at Vaks we offer programmes to suit every student. We know that every child is an individual with their own way of learning. Vaks tuition will make a significant long term difference. Our tailored approach means we can support children of all abilities and we always begin with a free educational assessment. Our educational programmes are tailored to meet the needs of every child. You won’t find a tuition provider like us. We celebrate the achievements of every child, without comparing them with other students, year groups or levels. We only tutor in small, peer matched ability groups which is a proven and powerful way to accelerate learning development. Students benefit from increased confidence in a dynamic, interactive learning environment, which is very different to the school classroom. Our educational programmes are designed to prepare your child for every stage in their education, from primary years through to GCSE. We are experts in tutoring for 4 Plus, 7 Plus, 11 Plus and 13 Plus and SATs. Every Vaks tutoring programme is aligned to the national curriculum and our outstanding pass rates speak for themselves. We want every child to reach their absolute full potential and to do their very best in school. Vaks tuition is the best possible support to ensuring your child’s journey into grammar or independent school is as stress free as possible, delivering a successful outcome. If you’re not local to North Finchley, you can find Vaks Tuition Centres in Beaconsfield, Bishops Stortford, Broxbourne, Hertford, Hoddesdon, St Albans, Stevenage and Ware. Parents are given extensive feedback within 24 hours, along with our proposed plan for each child’s programme for when they join VAKS. Parents always tell us how this is a unique perspective of their child. You wont get this level of service anywhere else. 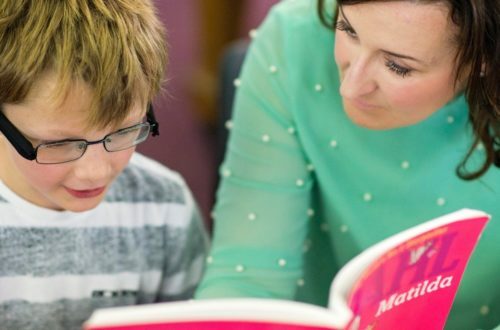 Our tutors’ main goals are to improve your child’s confidence and make learning engaging and fun to help all pupils to reach their full potential. Children attend the learning centre on a weekly basis and complete homework relating to lessons taught. Our North Finchley private tutors interact with children throughout the entire learning process. Our team simply love to teach and this passion creates a positive environment in which children can succeed and become confident learners. The individual focus on your child means that they receive the highest level of attention and nurturing in comparison to a large classroom environment at school. This is why children love coming to Vaks. All Vaks tutors at our North Finchley tuition centre are enhanced DBS checked, with these checks continually updated. I absolutely love my role at VAKS - so rewarding watching the children grow in confidence and ability. The team are incredible at providing the best possible support for the children's progress! My son attended Vaks and loved it! I knew we had the right place, when my son attended the initial assessment and wanted to return. Vaks did an amazing job at building his confidence in his phonics during Year 2. The team are very encouraging and nurturing too. Firm but friendly and it was a pleasure to work alongside them to assist with my sons English. Thank you. So proud to work here and have the chance to teach such wonderful children. The results and reviews speak for themselves. Honestly the best tuition out there, they got me from a Predicted D to an A in a matter of months for my English GCSE- I was only expecting to leave with a C grade. The impact of this was long lasting as it helped me with my A levels and I am now going off to university. They are extremely friendly and understanding and suggest a number of resources which is just extra help to improve. They are the best tuition group out there, and I have unfortunately been through a fair few before reaching VAKS which do not even compare the the quality VAKS tuition can offer. Moreover, they are all extremely encouraging and believe that every pupil can succeed; even when they doubt themselves (which I certainly did) and go above and beyond in order to help every individual student achieve what they require, if not better. Worth every penny! An awesome organisation to be apart of! Not only adding value but also changing little people lives! Martina and Jackie are very professional and extremely helpful. They give you true expectations set and realistic goals. Would definitely recommend them. Lovely people, amazing place to work.